Delivery in approx:	If you order by noon your canvas can be collected from store after 3pm! Orders shipped to home take approximately 7 days. 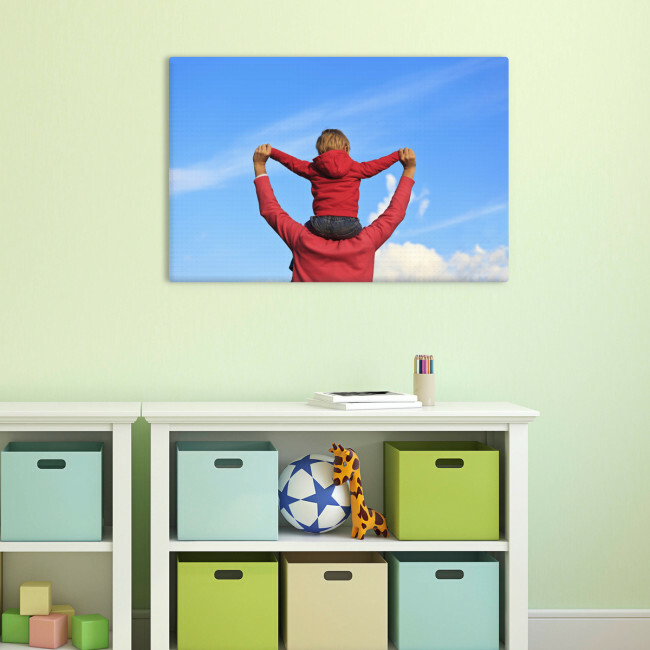 Slim canvas photo prints offer a cheap but quality option to display your photos. The 1.8cm deep wood frame has HD printed canvas hand-stretched over it to create a truly stylish piece of wall art. Our slim canvas are available in three sizes and make a great budget option to our range of deeper “gallery” canvas which is available in more sizes. You can be assured of the great print quality we are known for as we always use top specification genuine EPSON inks and your canvas will be hand-stretched onto a 1.8cm deep solid wooden frame to ensure durability and stylish design for your home. Simply select the photo you’d like to use from your computer, phone or tablet and leave the rest to us. To ensure you receive your digital canvas print in optimum condition we pack using specially constructed boxes and protect with bubble wrap so that you receive your canvas perfectly ready to hang. Select delivery direct to your home or opt for free delivery to hundreds of Max Photo Centres across the UK including larger Tesco Extra stores. At Max Spielmann we offer the complete range of HD canvas photo printing. We're committed to producing the best quality canvas printing possible and trust you will be very happy with the finished result. If you order by noon your canvas can be collected from store after 3pm! Orders shipped to home take approximately 7 days. Delivery of this product in approx:	If you order by noon your canvas can be collected from store after 3pm! Orders shipped to home take approximately 7 days.